Prototypes | Accurate Plastics & Mold Co.
Prototypes allow design verification and testing fit and can detect costly errors before it becomes very time consuming and expensive to ‘fix it’ (when it is possible to fix it). Some customers decide to skip this step of product development and in some instances it might be okay to do so. When the product requirements are not tight it may be acceptable. However, on the other hand whenever the final product will have to meet tight tolerances, or will be part of assemblies where several features will have to fit together or if there is little experience on the best way to mold the part , building a rapid prototype or a prototype mold could be a life saver. MACHINED PROTOTYPES: Traditional machining of solid blocks of plastics, normally of the same material of the final products. Depending on the geometry of the parts it may not always be feasible or economical to use this technique. A rapid prototype will illustrate design and intent better then any drawing or description, whether you are talking with an engineer that has a good technical background or with somebody that has no manufacturing knowledge, the prototype will simplify the communication process. Whether it is the first time a product is made or if there are questions about the functionality of some of the product features, rapid prototyping could help saving time and money. Prototypes remove the need for guesswork. Prototype molds for its evaluation as an injected molded part and to test the mold design before an expensive multicavity production mold is built. Molded samples will have the exact look and feel as the final product and can be subjected to the expected stresses, wear and environment tests. This may not be always possible with a rapid prototype since the physical properties of the rapid prototype will not be the same as those of the final product. 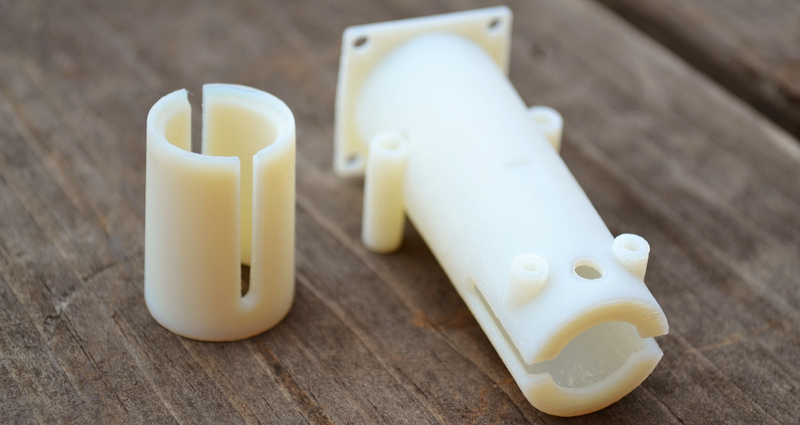 Because the prototype mold is not mean for production, it can be manufactured at less costs and may even be a hand run tool keeping its cost low.